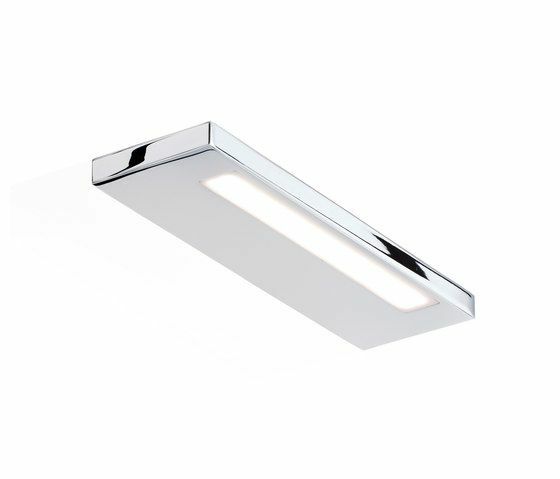 Wall light - Acrylic glass satin - Chrome 2 . 34 . 10 cm LED . 19,2W . 230V . 3000° K . IP44 EEK: A++,A+,A . 644 lm . kwh/1000h : 21 . 30000 h This luminaire contains built-in LED lamps A++,A+,A. The lamp can be changed by manufacturer only.